Seton's Art Series from 1st through 8th Grade offers a progressive look at art from "how to" drawing and moulding to appreciation and analysis--all with a strong Catholic orientation. Art 1 contains creative art activities that follow the liturgical year. Art 2, Art 4, and Art 6 offer a progressive guide to drawing technique. Art 3 contains fun activities using household materials. 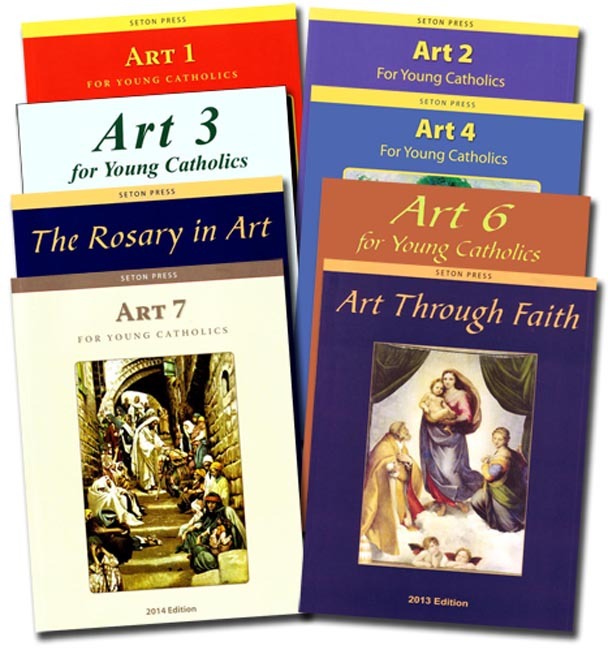 Art 5, Art 7, and Art Through Faith offer art appreciation commentary, meditations from the artist and an emphasis on religious meaning and symbolism. Save $19.00 over the individual purchase price when you buy the set.